These chewy, chocolate, Halloween cookies would be a great project for the kids to make this holiday and they taste great too. 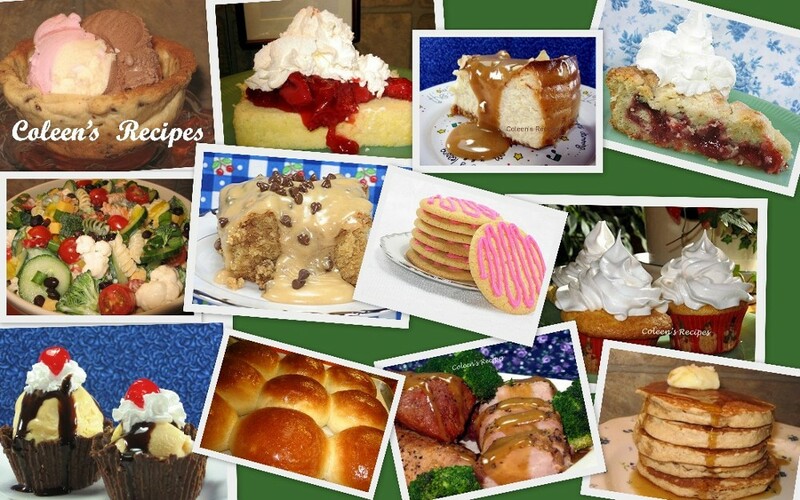 In a large mixing bowl, cream butter & sugar until smooth; beat in eggs and vanilla. Combine the flour, cocoa, baking powder, baking soda and salt and gradually add it to the creamed mixture. Roll dough into 1½" balls and roll in granulated sugar. Place on cookie sheet (I baked mine on parchment paper). Pinch the top of the cookie to form ears. For the whiskers, press a fork on each cat cheek (at 45 degree angle according to hubby). 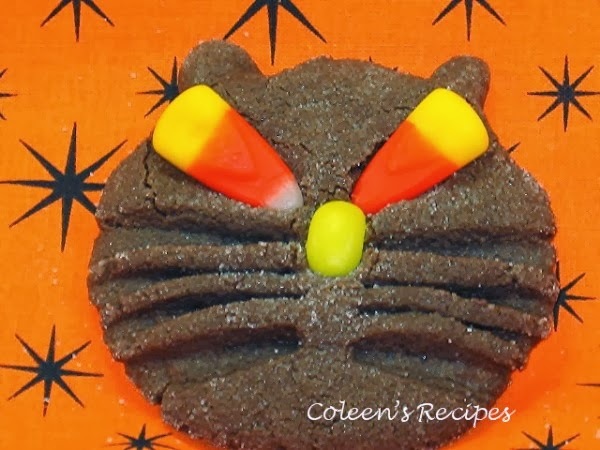 Bake at 350 for 10 minutes, remove from oven and immediately press candy corns into the cookie to form the eyes and use a red hot for the cat nose (I just cut off the end of a candy corn and used that). Cool on wire racks. Makes 24. NOTE: Hubby says my whisker angle made these "cats" look angry lol. Maybe he is right about angling the fork tines a little more. These are adorable and I have to make these for sure! These are so darling. Great job. These might replace Martha Stewart's severed fingers as my favorite Halloween cookies - very cute! After you roll the balls in sugar, do you flatten them a bit before pinching the ears and forking the whiskers? I remember these from last year and they're just the cutest. Monica...yes, I flatten them a little with a glass dipped in sugar. I decided to re-post these cute cookies since I posted them almost too late for Halloween last year. They do look angry and I love it. Just perfect for Halloween. They are adorable! I could do this Coleen! I've tried making cookies from those little magazines you get in the store with the refrigerated dough but some how they bake up looking all demented....Or maybe it's just me! LOL!! These are adorable. Bookmarked and stumbled! As a five-cat owner, I LOVE these!!! Oh my gosh they are so (can I say it???) doggone cute!!! So cute! I haven't seen those before.